The Sisters of Providence General Council are (from left to right) : Sister Lisa Stallings, vicar; Sister Jeanette Hagelskamp, Sister Dawn Tomaszewski, general superior; Sister Mary Beth Klingel and Sister Jeneen Howard. 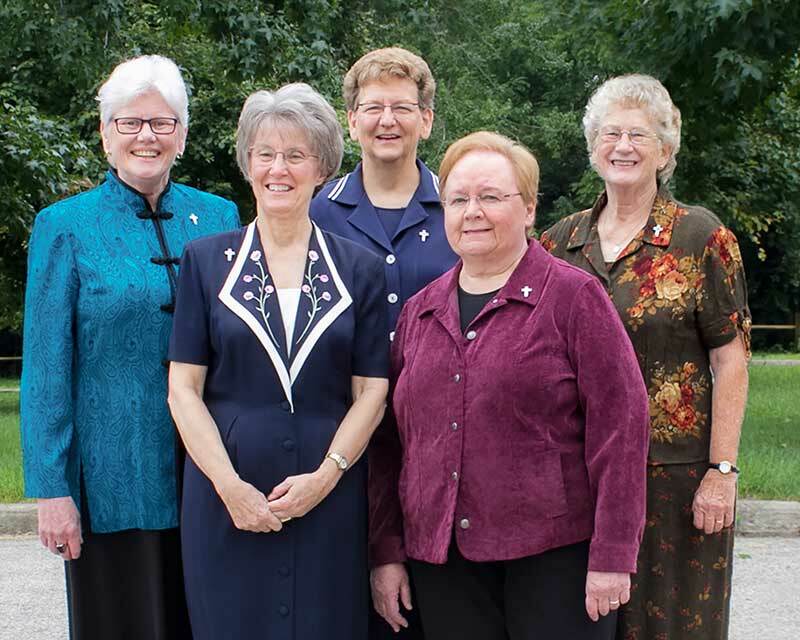 The general officers of the Sisters of Providence serve for a five-year term as the leadership team (similar to a governing board) and are elected during the summer General Chapter, a time when the Congregation comes together to define the goals for the next five years and elect new leadership. This team was elected the summer of 2016. Sister Dawn Tomaszewski is a native of Chicago. She is a graduate of Saint Mary-of-the-Woods College with a bachelor’s degree in communications. She also has a master’s degree in Journalism from the University of North Carolina and a master’s degree in theology from Catholic Theological Union, Chicago. Sister Dawn entered the Congregation on Aug. 29, 1975. Sister Dawn ministered as a teacher at Marywood School in Orange, California and taught at Mother Theodore Guerin High School, now known as Guerin College Preparatory High School. She later served as director of communications and an instructor at Saint Mary-of-the-Woods College (1984-1987). She also served as the Congregation’s director of communications, director of communication and development and director of the Mission Advancement office (1987-1996). She also ministered as communications and media coordinator for the Office of Catholic Education, Archdiocese of Chicago (1999-2004); communications and public relations director, Guerin College Preparatory School (2004-2005); and director of advancement, Guerin College Preparatory School (2005-2009). Sister Dawn serves as an ex-officio member of the Saint Mary-of-the-Woods College Board of Trustees. Sister Lisa Stallings is a native of Evansville. Sister Lisa entered the Congregation on Aug. 23, 1975. She graduated from Saint Mary-of-the-Woods College with a bachelor’s degree in English. She received a master’s degree in English from Indiana University, a master’s degree in music (sacred music and liturgy) from St. Joseph College in Rensselaer, Indiana, and a master’s degree in theological studies from St. Meinrad School of Theology. Sister Lisa ministered as a teacher at Our Lady of Providence High School in Clarksville, Indiana (1977-1981). 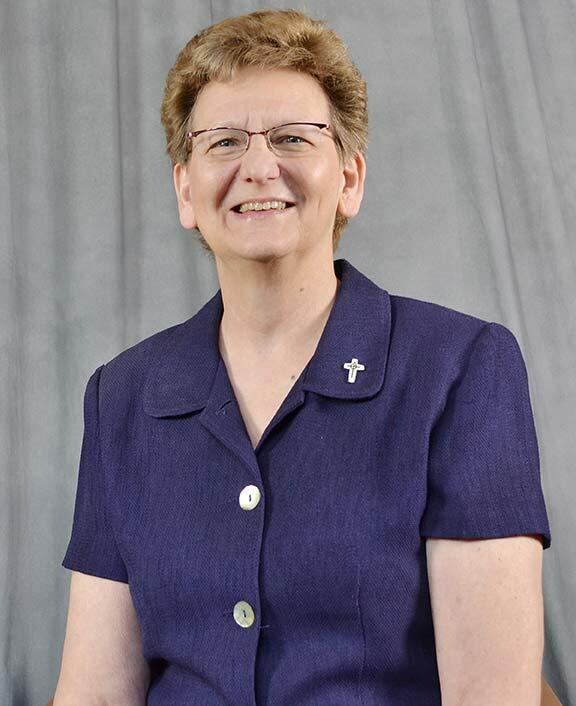 She also taught at Providence-St. Mel School in Chicago (1981-1988), and served as director of music, St. Bernadette Parish, Evergreen Park, Illinois (1989-1990), director of music at St. William Parish, Chicago (1990-1994), director of liturgy at St. James Parish, Elizabethtown, Kentucky (1994-1998), assistant coordinator of liturgy at Saint Mary-of-the-Woods (1998), director of worship at Cathedral of the Assumption, Louisville, Kentucky (1998-2009), and as the Congregation’s coordinator of liturgical music at Saint Mary-of-the-Woods (2009-2011). Sister Jeanne Hagelskamp is a native of Indianapolis. 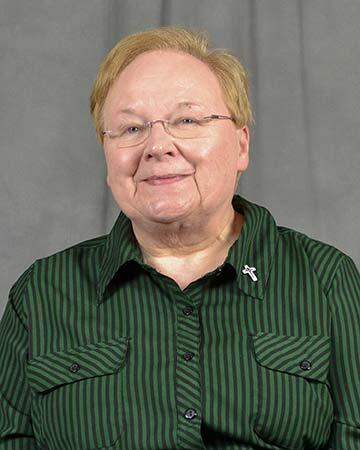 Prior to being elected to the leadership team, she ministered as the director for the Academy of Teaching and Learning Leadership, as well as being an associate professor in leadership at Marian University, Indianapolis. Sister Jeanne entered the Congregation on Aug. 23, 1975. She graduated from Saint Mary-of-the-Woods College with a bachelor’s degree in mathematics. She received a master’s degree in mathematics with a concentration in physics from Purdue University, and a Certificate of Advanced Study in Educational Leadership Administrative Supervision from the National College of Education, now known as National Louis University, in Chicago. She also earned a doctorate of education degree in Private School Administration from the University of San Francisco. Sister Jeanne ministered as a teacher at Providence High School in New Lenox, Illinois (1977-1979), as well as an instructor in physics and math, and assistant director of financial aid and director of admissions research at Saint Mary-of-the-Woods College (1979-1982). Her other ministries included teacher of math, physics and computer at Providence-St. Mel in Chicago (1982-1986), curriculum director and a teacher of physics, mathematics and computer science at Providence-St. Mel (1986-1991); principal at Mother Theodore Guerin High School (1991-1997); assistant director of the Institute for Catholic Educational Leadership at the University of San Francisco (1997-2000); faculty member at the University of San Francisco (2000); assistant professor and assistant director of the Institute of Catholic Educational Leadership at the University of San Francisco (2000-2001); principal at Mother Theodore Guerin High School (2001-2002); assistant director/assistant professor for the Institute for Catholic Educational Leadership, director of teacher education and an assistant professor at the University of San Francisco (2002-2005); president of Providence Cristo Rey High School (2006-2009); and principal at Providence Cristo Rey High School (2009-2013). Sister Mary Beth Klingel is a native of Jasper, Indiana. Sister Mary Beth entered the Congregation on Sept. 12, 1964. She graduated from Saint Mary-of-the-Woods College with a bachelor’s degree in education. She received a master’s degree in liturgical studies from the University of Notre Dame. Sister Mary Beth ministered as a teacher at Saint Margaret Mary School in Terre Haute (1968-1970), and at 10th Street School in Jasper (1970-1972). From 1972-1976, she was a member of the Congregation’s renewal team. She then returned to Saint Margaret Mary Parish in Terre Haute, where she ministered as a pastoral associate (1976-2004), and as parish life coordinator (2004-2005). Prior to being elected to the leadership team in 2011, she ministered as the Congregation’s director of novices (2006-2011). Sister Jenny Howard is a native of Indianapolis. Sister Jenny entered the Congregation on Aug. 22, 1983. She graduated from Saint Mary-of-the-Woods College with a bachelor’s degree in biology. She received a master’s degree in biology from Ball State University. She also received a master’s degree in guidance counseling in secondary schools from Northeastern Illinois University. 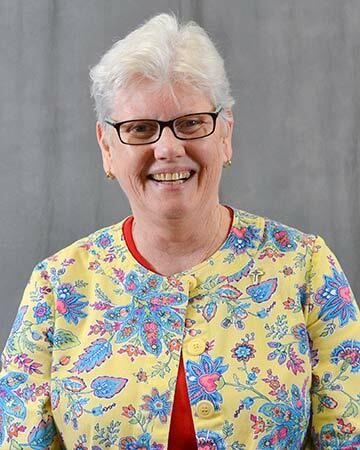 Sister Jenny served on the Congregation’s leadership team from 1996 to 2001. 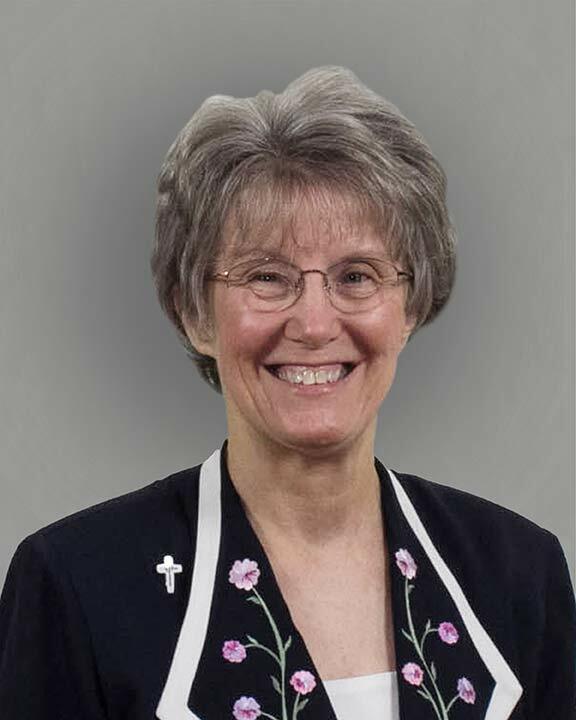 She also ministered as a teacher at North Central High School in Indianapolis (1974-1984), a teacher at Providence-St. Mel School in Chicago (1985-1990), a teacher at Cathedral High School in Indianapolis (1991-1996), and as the Congregation vocation director (2001-2011).